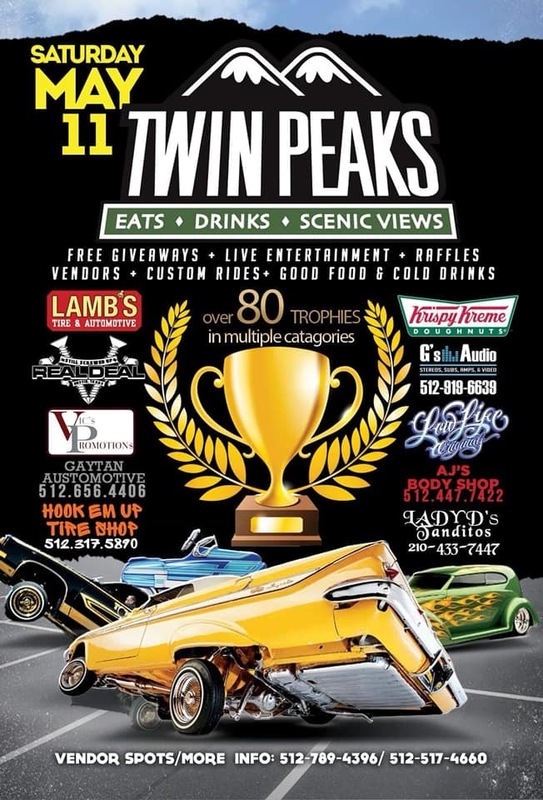 We are having our 9th annual Twin Peaks and Kingz Of The South Car Show in south Austin on May 11th. This is going to be a Re Grand opening of the newly renovated south Austin location. Please come out and bring your ride to our family friendly car show. There will be 80 awards given with multiple categories. Set up will begin at 8-12 and show starts at 11am-5pm. There will be cold Twin Peaks beer and plenty of scenic views. $30 entry fee for cars and trucks, $20 entry fee for motorcycles, bikes and pedal cars.